Writing Bernie Sanders off as a fringe candidate is a disservice to voters. When Bernie Sanders announced his presidential candidacy in May, he was largely seen as a marginal political figure. Since then, he has become a serious contender for the Democratic nomination. 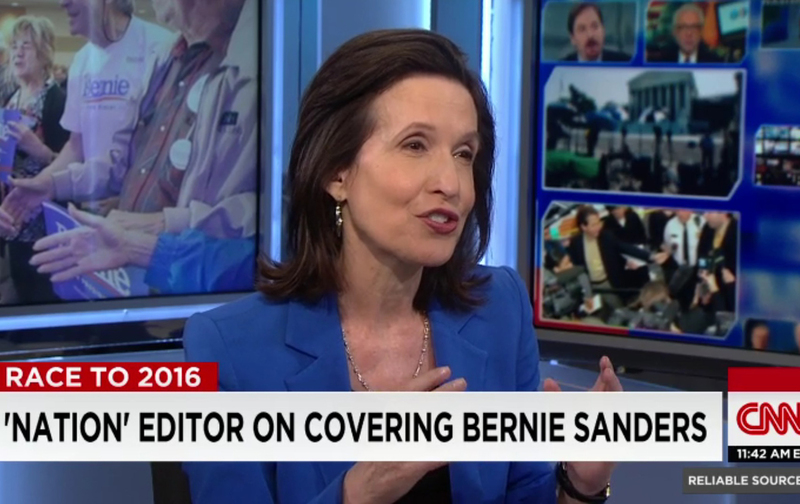 The Nation’s Katrina vanden Heuvel joins Brian Stelter on CNN’s Reliable Sources to discuss whether liberal media outlets have gone soft on Sanders in their coverage of the 2016 campaign. Vanden Heuvel contends that it is not outlets like The Nation but the mainstream media that have been biased in their coverage.